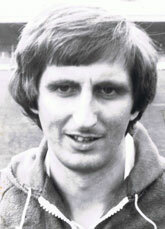 The defensive cornerstone of the 70s and 80s made 340 QoS first team appearances. Nobby Clark is the only man to taste promotion success with Queens as a player and then do the same as manager on a separate occasion. Nobby Clark contributed to this article with an interview in August 2009. Clark was at Firhill at the time of the club’s greatest post war achievement and the most famous result in their history. On Saturday 23rd October 1971, Sam Leitch memorably commented on BBC TV’s lunch time football slot, “’In Scotland, its League Cup final day at Hampden Park, where Celtic meet Partick Thistle, who have no chance." Jock Stein’s Celtic had reached the European Cup Final in Milan only five months before, destroying Don Revie’s Leeds United home and away in the semi. A player who had since established himself in the Celtic first team since the San Siro game was Kenny Dalglish. Leitch’s comment thus hardly provoked a tsunami of questioning of his sanity. With the sort of result that today’s Queens fans can only dream of against the Old Firm, Leitch was proved to have been reckless with his opinion. Clark’s travels to communist Hungary. The transfer to Queen of the South. “In the last year at Thistle, Bertie Auld came in. Bertie Auld and I, it was just a different manager, different style. I think I played over 20 games that season for him, I don’t think it was a problem with my ability or anything, it was just his style and what I felt was better, so he released me at the end of the season, 74/75. I had an offer from Airdrie, an offer from Motherwell, and not for any particular reason, I came down to Queen of the South,” said Clark with a cheerful tone of, ‘Why the heck not,’ in his voice. 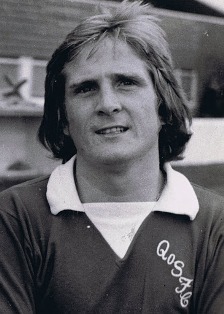 Clark’s promotion as a Queens player. 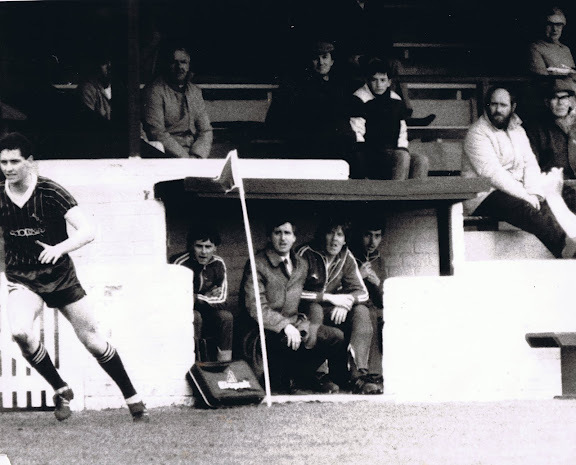 Then as manager came what Clark felt was the better of the two promotion sides he was involved with at Palmerston. Tactical insight from the manager? 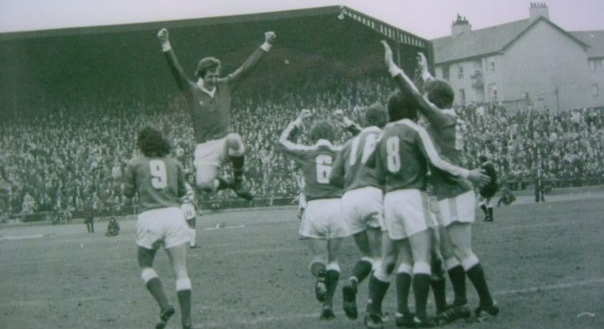 None the less this was still a successful season and Clark was held in high esteem at Palmerston. Then a head scratching episode followed. You’d get some support for that from Palmerston for obvious reasons. Not that there would be any parochialism or nepotism involved. The best player Clark ever played directly against. 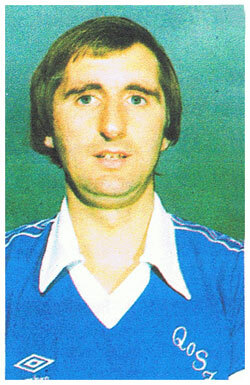 Nobby Clark’s 340 first team appearances for Queen of the South is the fifteenth highest in the club’s history as at 18 September 2017. In his 276 league games Clark scored six goals.